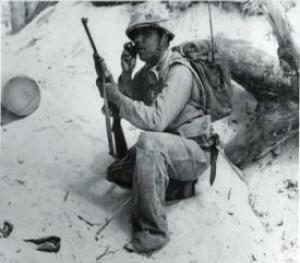 From 1942 to 1945, the Navajo code talkers took part in every assault the U.S. Marines conducted in the Pacific. They served in all six Marine divisions, Marine Raider battalions and Marine parachute units, transmitting messages by telephone and radio in their native language. The Japanese never broke this code. Philip Johnston originally came up with the idea to use Navajo for secure communications. He was the son of a missionary to the Navajos and one of the few non-Navajos who spoke their language fluently. Johnston was brought up on the Navajo reservation and was a World War I veteran. 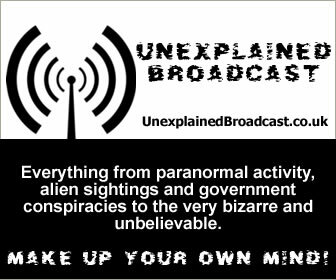 He was aware of the military’s search for a code that would withstand all attempts to decipher it. He also knew that Native American languages - notably Choctaw - had been used in World War I to encode messages. Because Navajo is an unwritten language of extreme complexity, Johnston believed it answered the military requirement for an undecipherable code. Its syntax and tonal qualities, not to mention dialects, make it unintelligible to anyone without extensive exposure and training. The language has no alphabet or symbols, and is spoken only on the Navajo lands of the American Southwest. One estimate indicates that less than 30 non-Navajos, none of them Japanese, could understand the language at the outbreak of World War II. Early in 1942, a meeting took place with Johnston, Major General Clayton B. Vogel, the commanding general of Amphibious Corps, Pacific Fleet, and his staff. Johnston’s aim was to convince them of the Navajo language’s value as code. Tests were staged under simulated combat conditions, demonstrating that Navajos could encode, transmit, and decode a three-line English message in 20 seconds. Machines of the time required 30 minutes to perform the same job. Totally convinced, Vogel recommended to the Commandant of the Marine Corps that the Marines recruit 200 Navajos. The first 29 Navajo recruits attended boot camp in May 1942. Following this at Camp Pendleton, Oceanside, California, the group created the Navajo code. A dictionary and numerous words were developed for military terms. The dictionary and all code words had to be memorised during training. 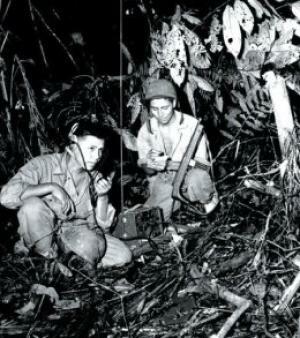 Upon completion of his training, the Navajo code talker was sent to a Marine unit deployed in the Pacific theatre. The Code Talker’s primary job was to talk and transmit information on tactics, troop movements, orders and other vital battlefield information via telegraphs and radios in their native dialect. They received much praise for their skill, speed and accuracy accrued throughout the war. At Iwo Jima, Major Howard Connor, 5th Marine Division signal officer, declared, “Were it not for the Navajos, the Marines would never have taken Iwo Jima.” Connor had six Navajo code talkers working around the clock during the first two days of the battle. Those six sent and received over 800 messages, all without error. The Japanese, who were skilled code breakers, remained baffled by the Navajo language. The Japanese chief of intelligence, Lieutenant General Seizo Arisue, said that while they were able to decipher the codes used by the U.S. Army and Army Air Corps, they never cracked the code used by the Marines. Even after World War II Navajo remained potentially valuable as a code. For that reason, the code talkers, whose skill and courage saved both American lives and military engagements, only in recent years earned recognition from the Government and the public. The Navajo code talkers of World War II were honoured for their contributions to defence on September 17, 1992, at the Pentagon, Washington, D.C.